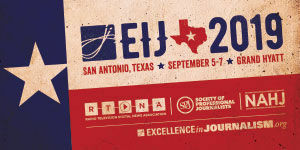 The Native American Journalists Association annually celebrates the quality and professional work done by Native journalists. Deadline: Apr 19, 2019. This $50,000 award is presented annually to a reporter with courage and integrity for cumulative professional accomplishments. To be entered for consideration, journalists must be nominated. Deadline is Apr 19, 2019. Twice yearly, the International Women’s Media Foundation offers grants supporting journalism produced by and about women. The grants, averaging $5,000 USD, are open to professional journalists with three or more years' experience. Next deadline is April 21, 2019. 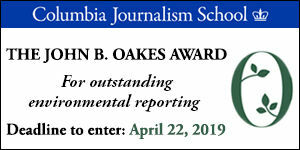 This award is given annually for print, radio, broadcast and digital reporting that makes an exceptional contribution to public understanding of environmental issues. $5,000 prize. Enter by Apr 22, 2019. This three-day event in Madison, WI, will focus on established and emerging issues related to practical climate adaptation solutions. It's known as a great resource for finding story ideas and meeting scientists, agency staff, citizens and more. On Tuesday, April 23, Concurrent Session 3, "Overcoming Flood Amnesia: How Two Cities and Two States Are Becoming Resilient," is organized by SEJ member Penny Loeb. Energy, Salmon, Agriculture & Community: Can We Come Together? The Andrus Center for Public Policy at Boise State University is convening this one-day event to support current discussions with leaders and groups from Oregon, Washington, Montana and Idaho regarding a long-term plan to address energy, salmon, water, agriculture, and community needs. As the U.S. Environmental Protection Agency's 50th anniversary approaches, this conference at American University in Washington, DC will consider EPA's role in leading the nation and the world in meeting future environmental challenges. 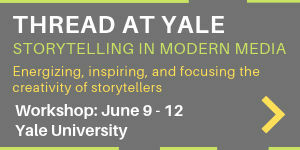 Attend in person or by live streaming. The theme of the 2019 Native Broadcast Summit in Chandler, AZ is Native Voices · Native Media · Native Truths. This annual event supports capacity building and professional development opportunities specifically for broadcasters and media makers serving Indian Country. The Media Fellowships, valued at up to $10,000 each, offer up-and-coming and established journalists the opportunity to spend time in Asia, researching and preparing stories. Apply by Apr 26, 2019. In These Times' Leonard C. Goodman Institute for Investigative Reporting invites journalists to submit story proposals for consideration for funding by the Institute and subsequent publication in In These Times — a national, independent progressive magazine. Deadline: Apr 29, 2019.